For Vogel Weather click here. 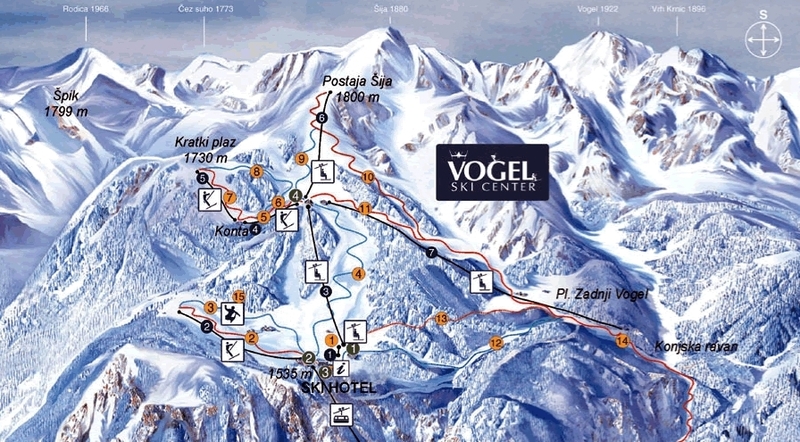 Without doubt Vogel is one of Slovenia's best all round resorts, offering a superb beginner / family ski experience in a beautiful position overlooking stunning Lake Bohinj. 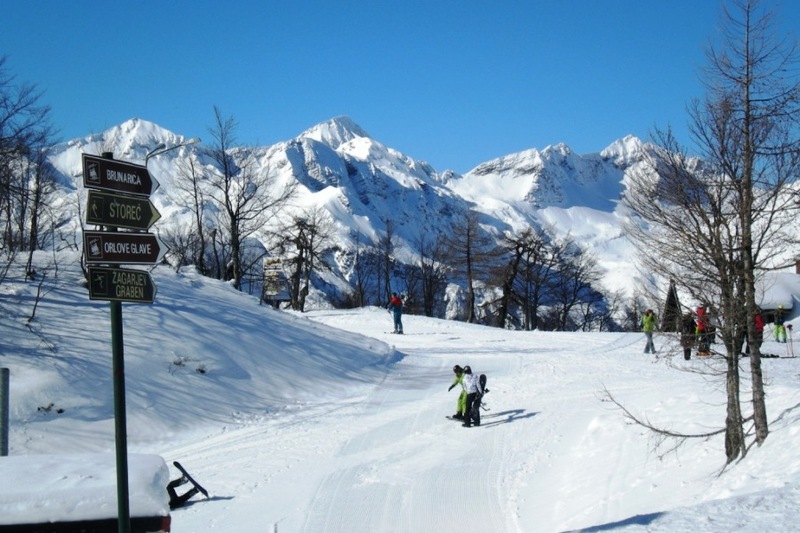 It also offers some harder and longer pistes to suit more experienced skiers, as well as potential outstanding off-piste. 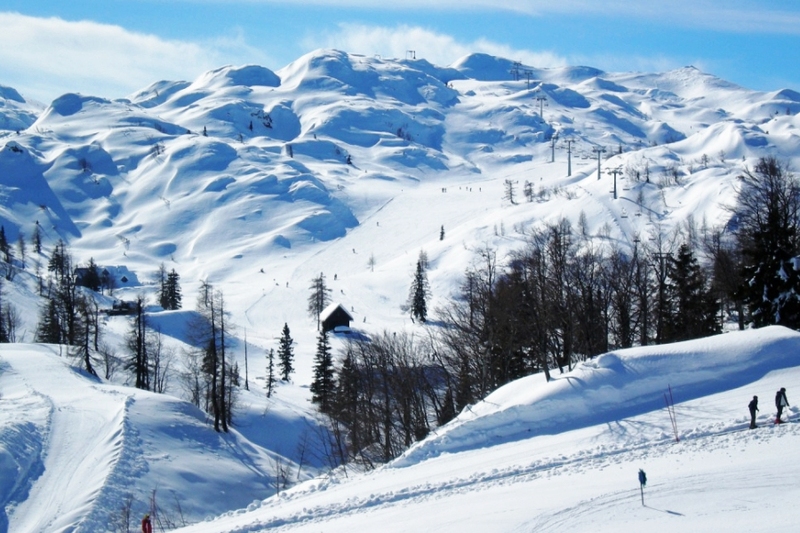 It is one of Slovenia's higher resorts with slopes up to 1800 m and its position as one of the first mountains in the range ensures consistently good snow, with skiing usually until late April, even without artificial snow making. 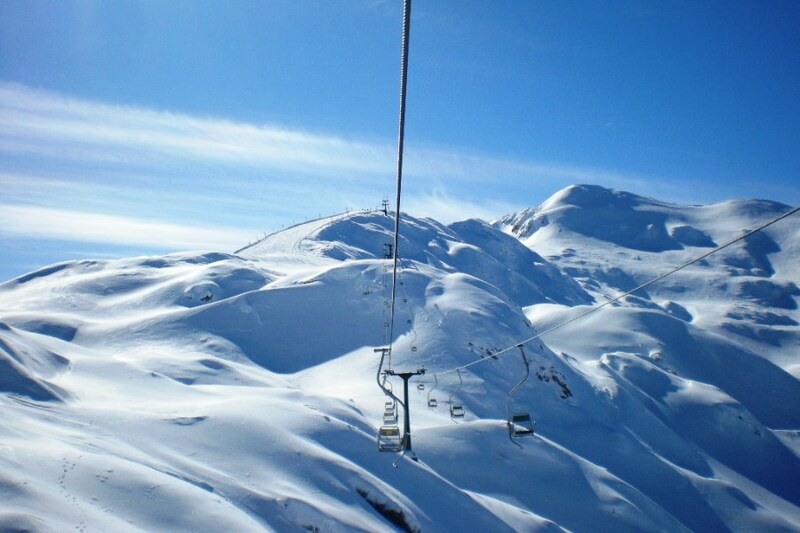 New lift infrastructure has greatly improved queuing times and the overall resort experience in recent years. The resort is accessed via gondola from the shores of Lake Bohinj. 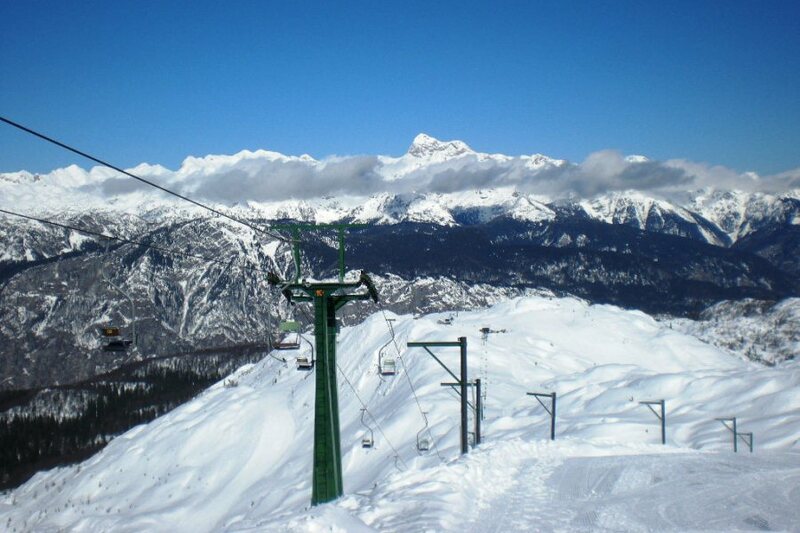 It is worth arriving early at peak times as the gondola can be busy. 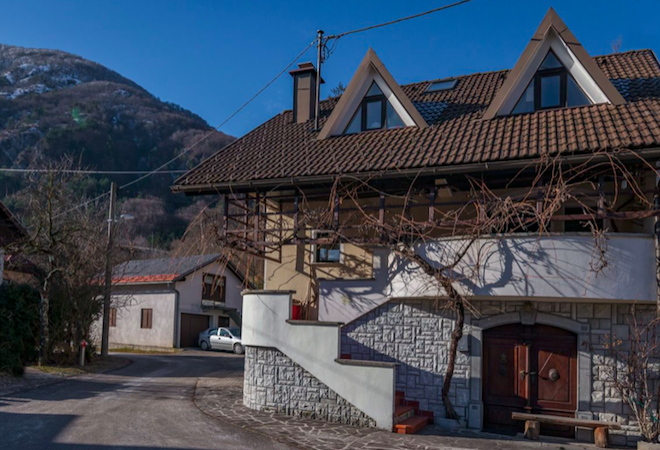 Served by a ski bus running through from Bled to Bohinj the resort offers a number of good places to eat and drink on the mountain top or dotted around beautiful Lake Bohinj. The town of Bohinjska Bistrica offers a great modern water park, plus a variety of restaurants, shops, bars and other useful amenities. Another great location for a Slovenian skiing holiday. Bohinjska Bistrica – Vogel Gondola station 6 connections from 7:50am to 4:50pm, returns from 8:40am to 6.40pm (Bohinjska Bistrica - Savica – Kamnje – Polje – Laški Rovt – Ribičev Laz – Bohinj Jezero – Pod Voglom – Gondola station). Departs at 9am from Bled Bus Station – Bled Centre – Mlino - Vogel. Returns at 4pm from Vogel. Deaprtures from 6am to 3:00pm. Returns from 8:40am to 6:40pm. Prices are in EUR, VAT included. SENIOR: Seniors from 60 years old / CHILDREN: From 6 to 14 years old / YOUTH: From 15 to 23 years old.